High School Language Arts Lesson Plan: With the Movie "Rent"
The movie Rent provides a wealth of options for teaching. Rent, the Broadway musical-turned-movie, is a commentary on life in the United States with HIV/AIDS. 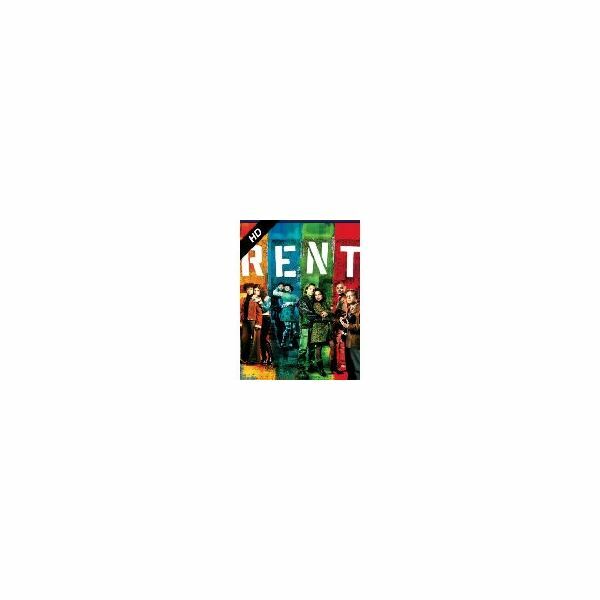 Rent is about a group of friends, who struggle to live, thrive, and create in an apartment building within the big city. Rent is a movie in which music plays a critical part in pulling the viewer into the story; a movie filled with themes; a movie based on the history of our time. Rent mimics themes found in the tale of Puccini's La Bohème, as well as another Broadway musical/movie, West Side Story. Roger Davis – musician, who dreams of writing a meaningful song before he dies – a former drug addict, he is HIV positive. Mark Cohen – filmmaker, who rooms with Roger. Benjamin Coffin III – Roger and Mark's landlord, who dreams of starting a multimedia studio. Joanne Jefferson – lawyer and advocate, who is Maureen's girlfriend. Maureen Johnson – performance artist, who is also Mark's ex-girlfriend. Angel Shunard – transvestite, who is a street drummer – he has been infected with HIV. Mimi Marquez – dancer with a drug problem – she has AIDS – was Roger's ex-girlfriend. Tom Collins – computer genius – he is HIV positive – is Angel's boyfriend. Students will identify multiple themes within a movie. Students will discover and use character development to discuss themes. Students will demonstrate competence and skills in researching the theme within the movie through the characters and in essay writing. Students will watch the movie, twice. The first viewing will be to familiarize themselves with the characters; the second will be to determine the theme they will choose. Brainstorm a list of themes. (Click here to download a list.) Then, using the theme of their choice, students will write an essay that discusses how the theme is developed within the movie through the various characters. They should be able to discuss the theme in relationship to at least two of the major characters. They can also make mention of how the minor characters play into the theme, but it is not necessary to do that. The essay should be at least five double-spaced pages long, include quotes from the play, and clearly show the development of the theme. Examples include: Where is it first presented? How does it develop? Is there an epiphany or conclusion to the theme?. Students can share their essays with Q & A discussion to follow. The assessment of this lesson will be in the ability of the students to show clearly how a theme develops through the characters (approximately 85 percent of the score). How students participate in the sharing and Q & A discussion will account for 10 percent. Finally, while spelling and grammar errors should be noted, they should only account for a small percentage (approximately 5 percent) of the overall score. This lesson plan can be modified to be used as a means to look at modern history. The historic themes in the movie Rent might include HIV/AIDS, Social Activism, GLBT Rights, Drug Culture and/or Low Rent Housing Issues. It can also be used in a music class to discuss the power of themes in lyrics. Frank discussion of themes will lead to great involvement in the movie lesson plans for Rent. Students should be allowed to ask questions without fear of reprisal. In writing about the themes found in this movie, students will be able to voice their own beliefs, fears and dreams. The ability to voice their innermost thoughts is what makes Rent an excellent choice for inclusion in your movie lesson plans. Stage Notes from Bridgeport Theatres: Field Guide for Teachers.